Lulu has made me a better person. you hear a lot about young people today who are often in news for all the wrong reasons. In a lot of ways this colored my judgments about the next generation. But when I work with Lulu (and some of these other creative women her age) I think, the world is in really good hands. Lulu is kind, patient and fun. She sees the world with an enthusiasm and hope that has rubbed off on me. I am more thoughtful and appreciative. When working with Lulu, it’s no longer my style, it’s ours. There’s a natural blend between us that results in something unique that no other combination of model and photographer would achieve. The word “Muse” is often misused, but our collaboration fits the definition perfectly. Lulu inspires me, but far more than that, she is extremely pro-active in all aspects of the image-making process. She makes our shoots both immensely enjoyable and extremely productive. Over time, the collaboration feels more like a kind of homecoming. It’s familiar and yet always exciting and new, as we explore fresh creative ground. When we make art together, I’m spending time with a genuine friend. 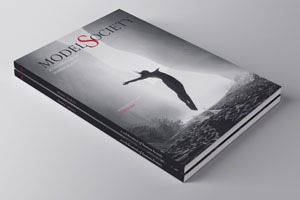 Enjoy images of renowned art model, Lulu Lockhart in the gorgeous 5th issue of Model Society Magazine. Tim and Lulu take us on a treasure hunt to across a range of incredible landscapes and exotic locations. 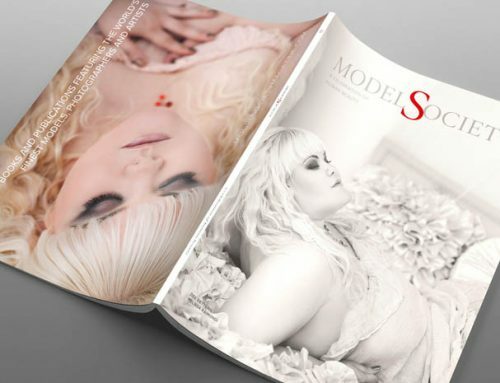 See more from Tim and Lulu in this stunning collectable publication.